The Waterfall wall mounted monobloc bath filler with its handy hairspray shower kit has been designed for easy controlled water mixing and hair washing. This increasingly popular collection with its emphasis on the water, is definitely a design feature for all bathrooms. 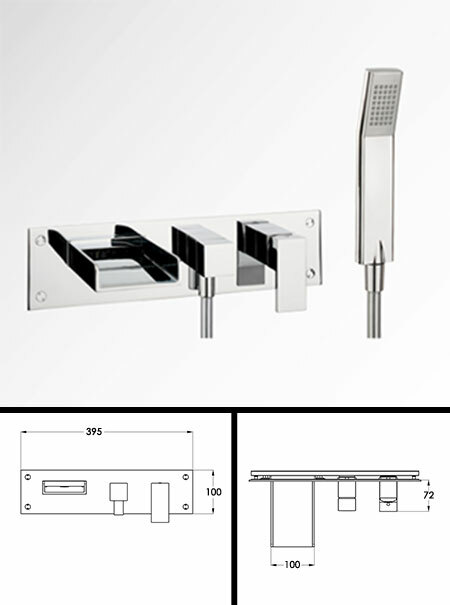 All wall mounted bath fillers and hairspray shower kits can be used on 1 bar water pressure and above.